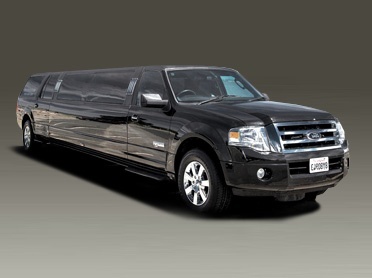 We Offer Luxury Limo Bus Services Nationwide! Traveling in a stretch limo bus is no longer reserved for the politicians or the elite. Our luxury black stretch expedition is perfect for weddings, bachelor/bachelorette parties, prom night, tours, sporting events, corporate events and just about anything that requires traveling. The black stretch expedition party bus will prove to be the best in the fleet and can accommodate a group of friends or family, and offer top class transportation services in a comfortable, stylish and affordable way. The black stretch expedition has been equipped with high end amenities and state of the art features that’s sure to make your trip unforgettable. Black Stretch Expedition — Luxury at its Finest! 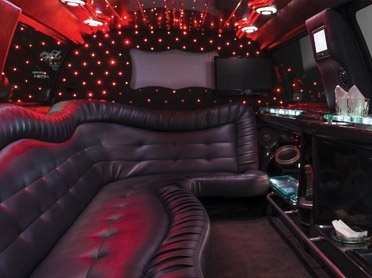 The black stretch expedition party bus in our fleet is the star of the show. This vehicle is able to hold up to 14 people comfortably, making it perfect for a night on the town, or when you find yourself with loads of luggage to transport from the airport. Our luxury black stretch expedition bus is the best option for those who like to travel in style. Only we are able to offer the best value for you money by providing you with the most comfortable and enjoyable ride you have ever experienced. Once inside, enjoy the changing color fiber optics that encompass the interior of the black stretch expedition. There’s also a touch screen sound system and a multicolored lighted wet bar and expansive leg room. Regardless of your reasons for hiring our luxury stretch limos bus, traveling in one of our stretch limos is sure to add a whole lot of fun and excitement to your trip! Price — We offer the best in prices and custom packaged that can be designed according to your needs. Optimum Comfort — The black stretch expedition has plenty of space for you and your friends to relax and enjoy the ride. Unforgettable Experience — People are always smiling when they ride in our black stretch expedition limo because they are always having the time of their lives!